Celebrating sixty years of NASA … Space station crew makes a safe return to Earth … And evidence of a possible discovery outside our solar system … a few of the stories to tell you about – This Week at NASA! On Oct. 1, we celebrated the 60th anniversary of NASA opening for business. In its first sixty years, the agency has led the peaceful exploration of space, made discoveries about our home planet, conducted research to advance aviation, and much more – all for the benefit of humankind. In a special video message to mark the occasion, administrator Jim Bridenstine expressed confidence about NASA’s path forward. NASA’s next big step will take us back to the Moon – to help us prepare for human expeditions to Mars and beyond. 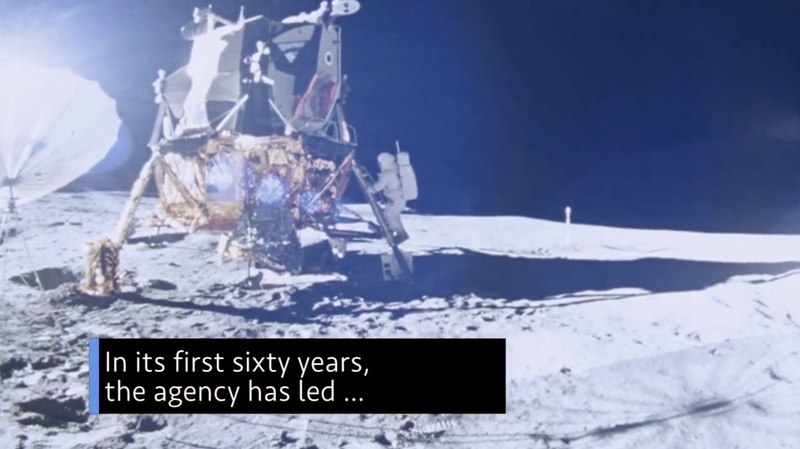 For more information about NASA’s 60th anniversary – including a series of videos highlighting some of the agency’s accomplishments, visit nasa.gov/60. The International Space Station’s Expedition 56 crew – including our Drew Feustel and Ricky Arnold – are back on Earth after a safe landing in Kazakhstan on Oct. 4. Feustel, Arnold and cosmonaut Oleg Artemyev of Roscosmos capped off a 197-day mission doing research and operational work aboard the space station. Meanwhile, our Nick Hague and Russia’s Alexey Ovchinin are scheduled to launch to the station on Oct. 11 to join the Expedition 57 crew onboard. Astronomers using our Hubble and Kepler space telescopes have found evidence of what could be the first discovery of a moon orbiting a planet outside our solar system, also known as an exomoon. This moon candidate is 8,000 light-years away in the Cygnus constellation orbiting a gas-giant planet that, in turn, orbits a star called Kepler-1625. Researchers caution that the moon hypothesis is tentative and must be confirmed by follow-up observations from Hubble. Heatshield Deployed in Space After Rocket Launch. This is onboard test footage following the Sept. 12 launch of our Adaptable Deployable Entry and Placement Technology heatshield design that folds like an umbrella for storage during launch then unfurls once deployed in space. It is being tested as a viable thermal protection system for entry, descent and landing of science and exploration class payload missions. NASA attended a red carpet event at the Smithsonian National Air and Space Museum in Washington, D.C. for Universal’s feature film, “First Man.” The movie, based on the book by Jim Hansen, chronicles the life of astronaut Neil Armstrong from test pilot to his historic Moon landing. NASA participated in the film in various ways – including providing technical expertise, and public domain footage and imagery. The movie will be released nationwide on Oct. 12, 2018.